Speculation and mixed Government messages are to blame for a slump in new car registrations, according to industry commentators. Figures released today by the Society of Motor Manufacturers and Traders (SMMT) reveal that the new car market was down by 3.5 per cent in June compared to the same period in 2017. The National Franchised Dealers Association (NFDA) says that more certainty is required to encourage people to buy new cars. "To ensure continued stability, it is important that consumers are provided with clear facts and information to enable them to select the car that best suits their needs," said the NFDA's director, Sue Robinson. 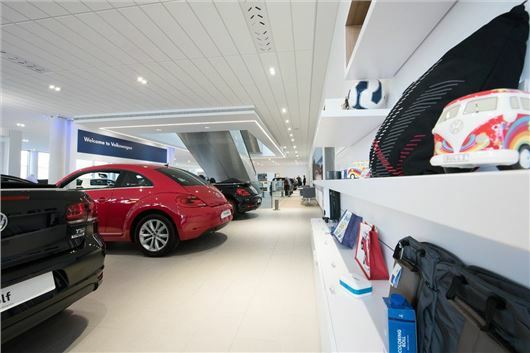 The organisation has been working alongside dealers to provide as much information and guidance as possible to customers to ensure that they can choose the car best suited to their needs and driving habits. Despite this, 31 per cent of car buyers said they didn't know what fuel type their next car would be in a recent NFDA survey. There has also been ongoing confusion over the future of the Plug-in Grant that gives car buyers up to £4500 off the list price of a new electric vehicle. The scheme was officially ended in April 2018; however, after a month of silence from the Department for Transport it was suddenly extended to October 2018. It is unclear if it will be extended beyond this date, with the DfT refusing to say how much public money remains in the scheme. Registrations of alternatively-fuelled vehicles including electric and hybrid cars rocketed by 45.0 per cent in June compared to the same period last year. Petrol also saw a rise of 12.3 per cent, but diesel registrations plummeted by 28.2 per cent. "It’s great to see demand for alternatively fuelled vehicles continue to rise," said SMMT chief executive Mike Hawes. "Given these cars still represent only one in 20 registrations, however, they cannot yet have the impact in driving down overall emissions that conventional vehicles, including diesels, continue to deliver." Despite a drop in new car registrations in June, industry insiders say they're optimistic that the market will remain buoyant following a positive second quarter. Government dithering is the cause, with a fair measure of 'diesel gate' thrown in. Many of us (myself included) have been happy with diesel, but with the plan to ban it by 2040, it's thrown a spanner in the works. Manufacturers have been slow to respond to the decline in diesel, premium petrol vehicles from some are as rare as rocking horse droppings and/or have appalling economy. Electric cars are a joke because they (a) don't have the range and (b) are heavier and often slower, plus the network of charging points is limited. I live in a town of with a population of 50k and there is not one charging point. A commute to work for me would need to recharges in each direction, so lost time negates any benefit. With London widening the congestion and emission zone substantially from April 2019 and other cities thinking about it, what is needed is clear advise on what, if any, diesel cars will be allowed into such areas. We also need Government-led efforts to rid towns and cities of buses and taxis which are nor Euro 6 emissions, as in my area we run buses with a 52 plate! For too often the motorist has been blamed for emissions, yet the bus and HGV worlds do nothing to clean up their acts. I am on the verge of buying a new/nearly used car, but still cannot decide on petrol or diesel because of lack of Government clarity. I am loathed to spend £40k on an SUV for it to be a white elephant 18 months later. How much does WLTP have to play in the sales figures being down? Many manufacturers have wiped some engine combinations completely off their pricelists of late, for example I'm not sure you can even place an order for 1.5tsi or 2.0tdi Ateca right now, same with Leon. You can buy a petrol engined Skoda Karoq but not a petrol Kodiaq. Pointless commenting on sales figures until manufacturers make available those cars/engines which are currently undergoing testing. Modern EU6 diesel cars are cleaner than petrol cars and even hybrids and they also use less fuel. All this scaremongering needs to stop. Yes It makes no sense to buy a diesel car if you're a low mileage driver but it also makes no sense to buy a petrol or hybrid car if you're a high mileage driver. In fact hybrids are a false economy because they cost more to buy and run than diesels. Any old diesel vehicles that produce smoke from the exhaust should be removed from the roads by way of another government funded scrappage scheme and if the owners refuse to get rid of the cars then they should be no longer road legal.